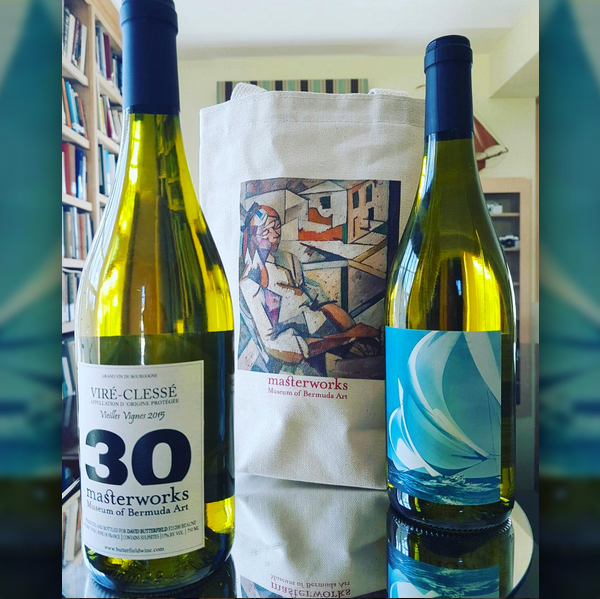 Masterworks Museum of Bermuda Art has released specially designed bottles of wine and canvas bags in honour of the organization’s 30th Anniversary. 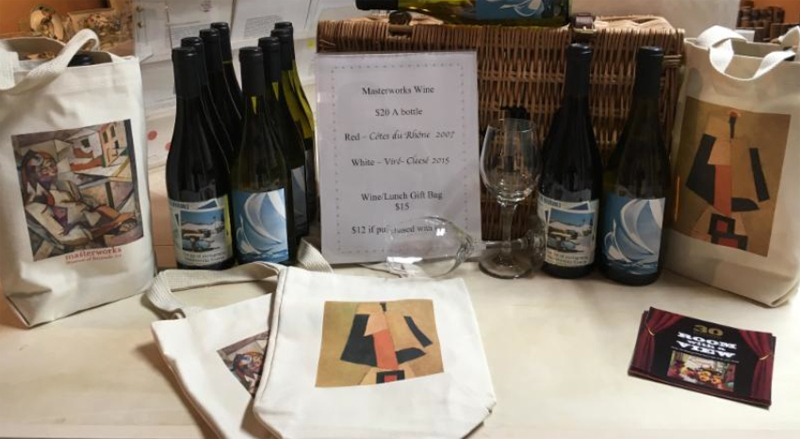 The artwork chosen for the canvas bags also marks the 100th anniversary of visits to the island by the artists Marsden Hartley and Albert Gleizes, whose artwork is currently part of the museum’s permanent collection. Portrait de Juliette Roche 1917 by Gleizes is featured on one side of the canvas bag. Gleizes was a French Cubist artist and played a large part in introducing modern art to America. Gleizes style heavily influenced major American modern artist Hartley, whose work Movement, Bermuda 1917, is featured on the other side of the bag. Hartley visited the island several times with fellow Modern artist Charles Demuth and was immersed in New York’s progressive art and literary circles during the years he wintered in Bermuda. “Many artists came to Bermuda at the time to get away from what was going on in the world,” said Tom Butterfield, founder and creative director at Masterworks. While Bermuda was most likely a refuge for many artists during a turbulent time in history, the island’s architecture and landscape lent itself well to the period of Modern art, added Mr Butterfield. Movement, particularly, explores the shapes of Bermuda roofs and the movement of sails. With this year being such an important time for sailing in Bermuda, the selected piece highlights some of the work in the museum’s Bermuda 4 Sail exhibit currently on display. The custom-designed label on the wine bottle also gives a nod to Bermuda’s long maritime history with the image of a boat under full sail from the collection of well-known Bermudian photographer David Knudsen. The original is also on display in the elevator at the museum. The wine is a specially selected Vire-Clesse 2015 vintage from France. The wine and canvas bags are available at the Arrowroot Gift Shop at Masterworks. For more information, contact mbworks@logic.bm. Great artwork chosen. Happy 30th anniversary.